The U.S. is getting ready to inject the first round of $27 billion in incentives into America's ailing automotive sector. Lithium-ion batteries are a key part of that initiative, with companies like Indiana-based EnerDel hoping for the funding to add thousands of jobs. "Failure to develop the lithium-ion automotive battery industry would be tantamount to exchanging dependence on foreign oil for dependence on foreign-made batteries," says Ener1 Chairman and CEO Charles Gassenheimer. "I'm just waitin' for that click, Big Daddy, . . .
that click in my head." rick Pollitt’s edgy anticipation is custom-fit for today’s beleaguered automotive industry. Slogging through the economic downturn, automotive operations everywhere are anxiously waiting for their calming click. Brick Pollitt, though, was only looking for whatever uplift lay in the deep end of a bottle of booze. But what a lot of automotive firms crave is a far more concrete click  a strong shot of the $27 billion in incentives that the U.S. government is parceling out to jump-start America’s green vehicle industry. Seventy-five firms, both large and small, have queued up thus far to compete for the first round of Uncle Sam’s mound of money. Twenty-three are still in the hunt. The stakes in that race are inordinately high. Companies that win some of the billion-dollar booty will dramatically expand and upgrade operations. In sharp contrast, some firms that are shut out in the subsidy awards will almost certainly begin a slow slide into extinction. Indianapolis-based EnerDel is one company that illustrates that boom-or-bust dynamic. A subsidiary of New York-headquartered Ener1, EnerDel manufactures lithium-ion (li-ion) batteries  the power source of choice for the wave of plug-in hybrid electric (PHEVs) and electric vehicles (EVs) hitting the market. Storing more energy but packing less weight, rechargeable li-ion units are rapidly supplanting nickel metal-hydride batteries inside the newest green vehicles. But the U.S. battery industry clearly needs its own defillibrator-strength shock. Right now, in fact, li-ion manufacturing in America barely registers a heartbeat. Rich in lab-based technologies, the nation’s advanced battery industry is poor in on-the-ground capacity. "Lithium-ion battery technology was invented here in the U.S., and America still maintains a lead in the automotive systems space," Ener1 Director of Investor Relations Rachel Carroll tells The SiteNet Dispatch. "But that lead is closing fast. The governments of Japan, China and South Korea have all been actively funding advanced battery research and development for the past decade. 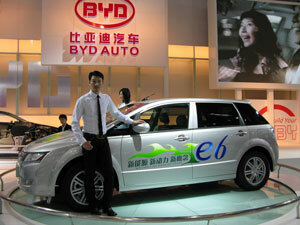 China's BYD is not only a powerhouse in manufacturing li-ion batteries. The Shenzhen-based company has also become the first company to mass-produce a plug-in hybrid electric vehicle, the F3DM sedan, pictured here at last year's Beijing Auto Show. "And on the manufacturing side, the U.S. is in danger of falling behind," Carroll continues from New York. "If we lose that race, we’re out of it for good." U.S. battery-makers today don’t even dent the leader board in li-ion manufacturing. 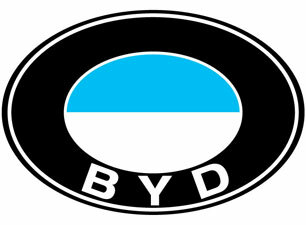 Most of the world’s li-ion units are now made by a quintet of Asia-based enterprises: China’s BYD; Japan’s Panasonic, NEC, and GS Yuasa; and South Korea’s LG Chem. And American firms? 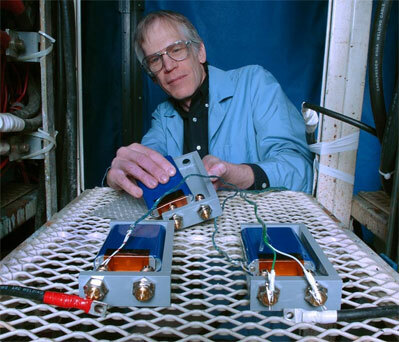 EnerDel is one of the few that even produce li-ion batteries on U.S. soil. That puts America’s budding green auto business on the road to another OPEC-like dead end, Ener1 Chairman and CEO Charles Gassenheimer contends. "Europe and Asia have committed vast resources to build production capacity, while the U.S. is starting to fall behind," Gassenheimer commented as EnerDel filed its federal incentives application earlier this year. "We have the technology, but we lack domestic production capacity. Failure to develop the lithium-ion automotive battery industry would be tantamount to exchanging dependence on foreign oil for dependence on foreign-made batteries." Putting some muscle on America’s puny base of li-ion manufacturers is one of the central goals in the federal government’s $27-billion subsidy program. "The cars of tomorrow require the batteries of tomorrow," President Barack Obama said on March 19 in announcing the $2-billion Advanced Battery Manufacturing Initiative (ABMI). "So the problem isn’t a lack of technology,"
"The cars of tomorrow require the batteries of tomorrow," contends President Barack Obama. Obama continued at the Southern California Edison’s Electric Vehicle Technical Center in Pomona, Calif. "You’re producing the technology right here. The problem is that, for decades, we have avoided doing what must be done as a nation to turn challenge into opportunity." Li-ion batteries, however, must still overcome some of their particular challenges  costs chief among them  before truly merging with the automotive mainstream. Nonetheless, there’s no shortage of ambitious blueprints to build major U.S. li-ion manufacturing plants  all of them asking for a sizable slice of America’s incentive pie. EnerDel, for example, has applied for $480 million in low-interest loans from the $25-billion Advanced Technology Vehicles Manufacturing Incentive Program (ATVMIP) authorized late last year. If that funding materializes, the company would expand both of its Indianapolis-metro plants, also building a new four-plant campus at an as-yet unspecified Indianapolis site. Collectively, those projects would produce 1,300 new jobs. By 2011, EnerDel’s Indiana operations would double their capacity to 600,000 PHEV battery packs, with the new campus doubling capacity again to 1.2 million units by 2015. Those are very big plans for a relatively small concern like Ener1, which in its entirety has 480 employees. With the Indiana expansion, the enterprise would become almost four times larger in only six years, in the process increasing its U.S. li-ion capacity by 400 percent. But there could be some very solid reality fueling such elevated aspirations. Lithium-ion batteries, after all, are looking like a long-delayed idea whose time has finally come. "Automotive batteries and battery-management systems may be the product category that benefits most from the changes that we expect," the investment management firm of Alliance Bernstein concluded in last year’s influential "Abating Climate Change" report. "Currently, the annual automotive battery market is about $9 billion. . . . As new, more powerful lithium-based batteries are introduced, we expect the market to grow to over $150 billion." Pictured is the $5-million, state-of-the-art electrode-coating equipment that EnerDel recently installed in its lithium-ion manufacturing plant in Indianapolis. And the U.S. automotive industry, Gassenheimer contends, will be swept up in that escalating demand curve. "I have often said that the demand is not the issue," Gassenheimer noted in a March 11 conference call reviewing year-end results. "The ability to supply the battery is going to be the issue to stand up this industry in the United States." Many other battery-makers are itching to stand up their own U.S. plants  all of them hoping for federal funds to help bankroll the projects. 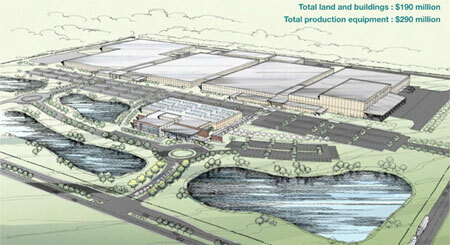 Lately, in fact, plans for new li-ion plants have been sprouting up as fast as daisies in the spring. For example, The National Alliance for Advanced Transportation Batteries (NAATBatt) announced on April 13 that it had picked Glendale, Ky., as the site for a proposed $600-million, 2,000-worker campus that will include the group’s headquarters and several li-ion manufacturing facilities. A nonprofit consortium of more than 50 companies, associations and research institutions, NAATBatt will apply by mid-May for perhaps as much as $1 billion in ABMI funds to bankroll the one-million-sq.-ft. (90,000-sq.-m.) complex. The consortium picked Kentucky over seven other competing states  Illinois, Kansas, Missouri, New York, Texas, Pennsylvania and South Carolina. 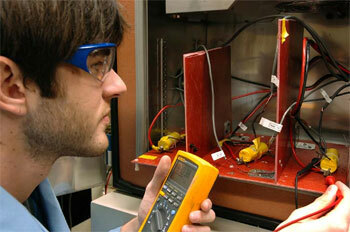 Panagiotis Prezas checks the voltages of A123Systems' high-power, lithium-ion batteries before starting a test. Massachusetts-based A123Systems has outlined a very aggressive U.S. expansion plan, which might create as many as 14,000 new jobs. KD Advanced Battery Group, a partnership of Dow Chemical, Kokam America and Townsend Ventures, which would build a new $665-million, 845-employee plant at an as-yet undetermined Michigan location. All four of those projects are going after federal cost-share grants from the ABMI, which is accepting proposals through May 19. Among U.S. li-ion battery-makers, A123 appears to have the most ambitious expansion plans. The Watertown, Mass.-based company in January filed its ATVMIP application for $1.84 billion in low-interest loans, a portion of which A123 would use to expand its energy storage and smart grid businesses. But taken alone, the li-ion plan outlined in the company’s ATVMIP application called for creating a whopping 14,000 jobs in Michigan, and creating the capacity to make batteries for more than five million PHEVs. 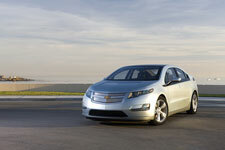 Soon after, though, General Motors dropped its previously announced plans to use A123’s batteries for GM’s Volt. Right now, though, A123 isn’t talking about how GM’s pullout affects its plans. Right now, it can’t talk. As A123 prepares for its IPO, SEC restrictions prohibit the company from discussing its growth plans. "We are still in registration and thus still in our quiet period as the company prepares to go public," an A123 spokesperson told The SiteNet Dispatch. Pictured is the 1,551-acre (620-hectare) site in Glendale, Ky., that the state donated to the National Alliance for Advanced Transportation Batteries for the consortium's 2,000-employee, one-million-sq.-ft. (90,000-sq.-m.) campus. U.S. states have already begun ponying up their own subsidies to support the construction of li-ion plants. Michigan, for example, awarded each of the four li-ion plants announced on April 14 with more than $100 million in tax credits. Collectively, the Wolverine State authorized $543.5 million in credits for the quartet, $142.9 million of that total coming from the Michigan Advanced Battery Credits program that was initiated earlier this year. "Michigan has planted its flag," said Gov. 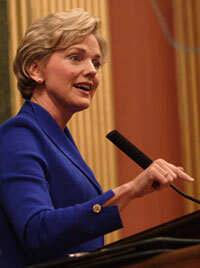 Jennifer Granholm said in announcing the four planned plants. "Michigan will be the place where the electric vehicles and the batteries that power those vehicles will be researched, developed, produced, manufactured and assembled." But other states are also rapidly planting their own flags to nurture li-ion plants. The competitive logic of offering such subsidies is compelling: The companies that make EVs and PHEVs will build their plants near their battery suppliers. That’s one reason that Kentucky is investing $300 million in the NAATBatt complex, plus another $10 million for employee training. In addition, the state is donating the center’s 1,551-acre (620-hectare) location, a "Super Site" that Kentucky acquired seven years ago in an unsuccessful bid to land a $1-billion Hyundai plant that went instead to Hope Hull, Ala.
At Argonne National Laboratory in Illinois, Ira Bloom prepares GS-Yuasa high-power, lithium-ion batteries for testing. "This is an investment that we can not afford not to make," Kentucky Gov. Steve Beshear said in welcoming the consortium. "This proposal will put Kentucky in a prime position to be the country’s leading manufacturer of the clean-energy cars of the future." NAATBatt’s selection of its central Kentucky site came less than a week after the Bluegrass State landed the nation’s first Battery Manufacturing Research and Development Center. Located in Lexington, that facility will be a partnership between the state, the University of Kentucky, the University of Louisville, and Chicago-based Argonne National Laboratory, one of the U.S. Department of Energy‘s largest research centers. Positioned only 91 miles (146 km.) northeast of the NAATBatt campus, the Kentucky R&D operation will initially focus on li-ion batteries, said Argonne Director Robert Rosner. "Michigan has planted its flag," Michigan Gov. Jennifer Granholm said in announcing four new li-ion projects that involve a collective capital investment of $1.7 billion. Indiana is taking a different route to differentiate its automotive sector. 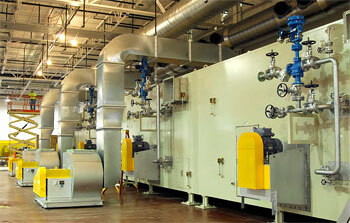 The Hoosier State on April 1 announced the formation of Energy Systems Network (ESN). That collaborative coalition will work to advance clean-energy technologies by bringing together prominent Indiana-based companies, research institutions and public agencies. EnerDel is a member firm, with Gassenheimer serving on the ESN board. "We can’t drop manufacturing like an embarrassing relative," Gov. Mitch Daniels said at the ESN announcement in Indianapolis. "We simply have to find a better way." One of those "better ways" is the alliance’s Hoosier Heavy Hybrid Partnership, which will develop a diesel hybrid system for heavy work trucks. That partnership involves Anderson, Ind.-based startup Bright Automotive, which will build the electric trucks. Cummins will provide the vehicles’ diesel engines; Delphi Kokomo will supply the electronics, and EnerDel will make the batteries. "I believe the possibilities are limitless," said Duke Energy Chairman and CEO Energy Jim Rogers. "You can’t do it until you dream it, and you can’t dream it if you don’t bring people together." Who Has ‘the Right Answers’? Ironically, as America’s li-ion love fest grows, foreign firms have already secured a substantial portion of the Big Three’s PHEV battery business. "This is an investment that we can not afford not to make," Kentucky Gov. 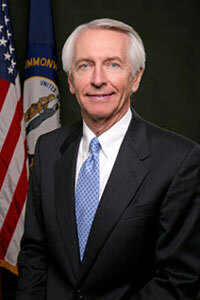 Steve Beshear said of state government's support of the NAATBatt project. After dropping A123, GM selected LG Chem to make the Volt’s batteries. Ford, on the other hand, picked the Johnson Controls-Saft joint venture to produce the batteries for its first PHEV, hitting the market in 2012. Milwaukee-based Johnson Controls, the world’s largest supplier of lead-acid batteries, will provide the manufacturing expertise. 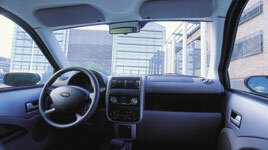 But France’s Saft will handle the R&D for Ford’s li-ion units. Only Chrysler chose an American option, on April 6 selecting A123  and Chrysler must first prove that it can survive as a going concern. But, then, choosing a battery-maker is a tricky business these days. There’s a prickly Catch-22 slowing the development of li-ion manufacturing. Auto-makers are understandably reluctant to pick a battery supplier that lacks a long-term track record. But some of the most promising li-ion technology isn’t coming from the biggest battery players. It’s coming from smaller companies like A123 and EnerDel. That stalemate could begin to break up some, though, when the government parcels out its the first round of subsidies. U.S. Dept. of Energy (DOE) guidelines specify that aid will only be awarded to companies that the DOE finds to be "financially viable." Consequently, fledgling li-ion companies that get funding will gain substantial cachet as supplier options. At the same time, the incentive awards will likely nudge the crowded battery business toward consolidation. "There is a lot of noise, but when you boil it down, what we are seeing is the separation of the wheat and the chaff [and] the haves and have-nots," Gassenheimer said in last month’s conference call. 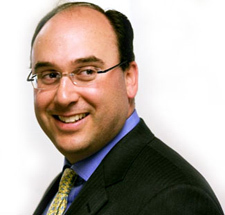 "Those who have the capabilities and the global manufacturing footprint are going to do extremely well in 2009. And you may see some big surprises here in 2009 from companies who thought they have the right answer and don’t." 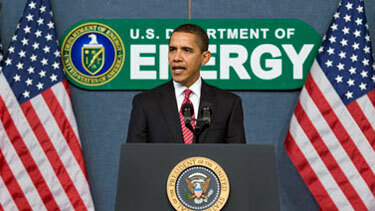 So, does EnerDel have the right answers to get substantial federal aid? "We don’t want to make too many assumptions about the allocation of government funds, but I think we’re well positioned to receive a portion of both the ATVMIP and ABMI funds," Carroll says. "We are currently the only producer of advanced lithium-ion batteries of automotive-grade quality in the United States. After dropping A123, GM selected South Korea's LG Chem to make the li-ion batteries for the automaker's Volt PHEV, picture right. 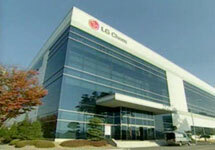 Pictured left is one of LG Chem's battery plants in South Korea. "We are also one of only four companies (along with A123, Johnson Controls–Saft and LG Chem) who are actively developing advance batteries in concert with the U.S. Advanced Battery Consortium (USABC), a collaboration between the DOE, GM, Ford and Chrysler," she adds. "So I think it makes sense for us to be given strong consideration." Adds Gassenheimer, "EnerDel’s participation and success within the USABC program is, in our opinion, a huge ‘Good Housekeeping Seal of Approval’ in terms of moving forward on the grant side." When Will the Funds Begin to Flow? But when will the federal government begin pumping its subsidies into the market? That’s a question that some federal lawmakers are beginning to press, pointing out that the $25-billion ATVMIP initiative was actually first authorized back in December of 2007. Pictured is the artist's rendering of the four-plant campus that EnerDel plans to build if it gets the $480 million in low-interest loans for which it's applied. "While substantial funding resources have been made available by Congress . . . DOE has not awarded a single dollar to domestic manufacturers developing these technologies," Indiana Sen. Evan Bayh wrote in an April 14 letter to Secretary of Energy Steven Chu. "If we fail to provide funding promptly, we will not only fail in an area of immediate and significant job creation, but we will end up substituting dependency on a different form of imported energy  batteries  for our current dependency on foreign oil. 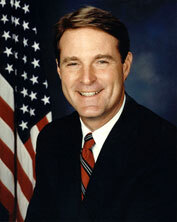 "DOE needs to accelerate lending," Bayh argued. "Each day of delay is a day lost to another country. . . . The country or region that becomes the leading producer of batteries and electric-drive vehicles may ultimately control green-vehicle production worldwide." In response, the DOE has essentially said that it’s dancing as fast as it can. The agency in October of last year estimated that the process would consume six to 18 months before funds began to flow to applicant companies. The agency is now making final evaluations of the 23 proposals still in the running for low-interest loans. After that, the DOE will negotiate the loans’ terms and conditions with the winning companies. At the same time, the agency will be winnowing thorough the applications to award the ABMI cost-share grants. Even so, Ener1’s Carroll thinks that funding will materialize this year, some of it fairly soon. "Each day of delay is a day lost to another country," Indiana Sen. Evan Bayh argued in a letter last week to Energy Secretary Steven Chu. "We expect to hear back on the ABMI money 30 to 45 days after the final applications are submitted in mid-May," she says. "So we could potentially receive ABMI funds as early as this summer. On the ATVMIP loans, we are hoping to hear back with a decision in the summer time frame, which could mean seeing actual money as early as December." 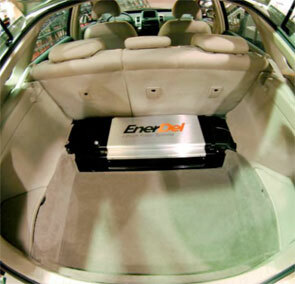 Pictured here is the EnerDel battery that Argonne National Laboratory integrated into a Toyota Prius in a test run last year. The lab found that the EnerDel battery was able to get 77.41 miles (124 km.) per gallon over the course of a federal urban drive cycle - twice the mileage that the Prius gets from the nickel metal-hydride unit that's now standard on the vehicle. When those federal dollars do materialize, they’ll likely help reshape part of the U.S. battery business. For that matter, America’s ATVMIP and ABMI programs acknowledge that that the global auto business has come to a tipping point: The industry is going electric. Less certain is the fate of those battery-makers who strike out in their efforts to land federal subsidies. R&D costs for developing advanced batteries are inordinately high. But cutting that spending means cutting your own throat. Battery-makers that don’t sustain intensive R&D quickly slip into irrelevance. That’s one reason so many companies have signed on as part of the NAATBatt consortium. For member firms, the alliance is a cost-effective way to outsource li-ion development. Participants can test their technology in NAATBatt’s labs, sharing costs with other consortium members. In addition, working with the not-for-profit alliance allows companies to take steep R&D costs off their balance sheets. Some partner firms will also likely collocate some operations on the spacious NAATBatt site. NAATBatt’s member firms take in a range of battery-makers, from more established operations like EaglePicher Technologies to promising start-ups like ActaCell. But other battery manufacturers, like EnerDel and A123, have chosen not to join NAATBatt. Says Carroll, "We think the NAATB and its member companies are playing an important role in the advancement of the U.S. battery industry, and we fully support that work. But I wouldn’t say that EnerDel is going it alone. We’re currently partnered with Argonne National Labs and the Energy Systems Network. We just feel that our current partnerships are working for us at this time." EnerDel’s top managers have mapped out how they see the company working if it ultimately gets shut out for federal aid. For the moment, EnerDel only has one signed deal to supply an EV manufacturer. That $70-million, two-year contract is with Norway’s Th!nk, which has also separately contracted with A123 to split the initial battery supply work with EnerDel. A look at the outside and the inside of Th!ink's City EV, which the Norwegian company plans to build in the U.S. The company says that the tiny four-seat auto can go 112 miles (179 km.) on a single charge and can reach speeds of more than 60 miles an hour (96 km. per hour). Th!nk in December shut down its Oslo plant after taking the Norwegian equivalent of Chapter 11 for the third time in the company’s 17-year existence. Since then, however, Th!nk has restructured and secured an infusion of investor capital. Th!nk North America, in fact, last month announced that it had begun searching for a site for its first U.S. plant, with eight states under consideration. That U.S. facility would initially employ 300 people and make 16,000 cars a year. 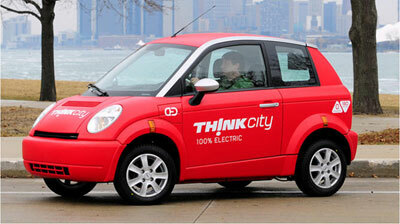 Longer term, Th!nk would like to expand to 900 workers making 60,000 EVs a year. But Th!nk isn’t the only warm iron that EnerDel has in the fire. The company will only name one other customer it has lined up: Japan’s Kyushu Electric Power, with whom Ener1 signed a contract late last year to collaboratively create and manufacture rapid recharging systems for EVs. Carroll, however, provides a generalized description of the company’s most promising prospects. "We segmented our accounts into a focus list of 10 potential high-priority customers," she says. "Specifically, in addition to final testing for the Th!nk EV, the work we are currently participating in includes: in-vehicle testing in four separate vehicle programs; an EV battery-pack program for a demonstration vehicle for a Tier-1 European automaker; and a large-format cell development program for a Tier-1 European supplier. "We are also participating in PHEV battery-pack testing with a European automaker and an electric utility; an EV conversion program with specialty vehicles; and an EV conversion program for a national postal service," Carroll adds. "We believe that 50 percent of these accounts could generate revenue during 2009." The fact remains, though, that the federal subsidy package dominates much of the near-term outlook for the U.S. li-ion business. The dispersal of those funds will act as the catalyst that finally triggers the arrival of mass li-ion manufacturing in the USA. And those subsidies will also determine where those units are made  and by which companies. No wonder, then, that so many battery-makers are watching so closely to see where that money goes. They are, in short, just waitin’ for that click. 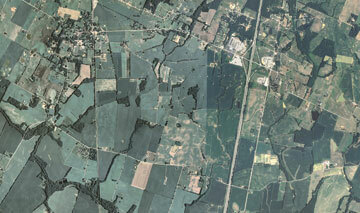 ©2008 Conway Data, Inc. All rights reserved. Data is from many sources and is not warranted to be accurate or current.